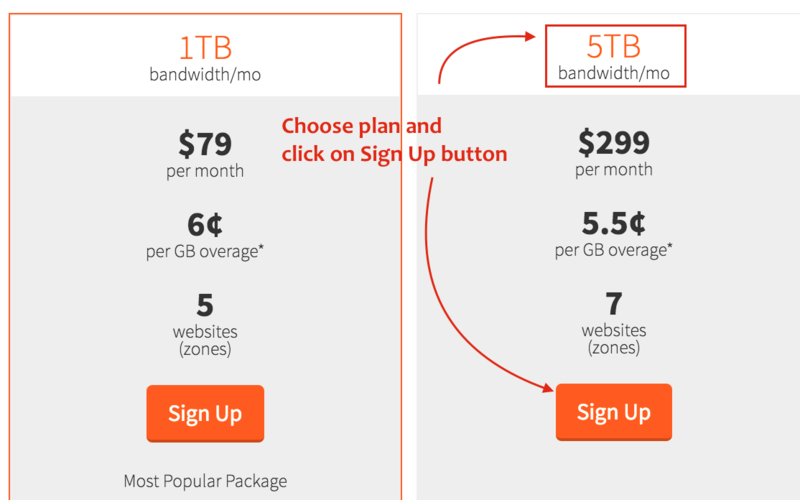 MaxCDN is one of the largest Content Delivery Network provider. 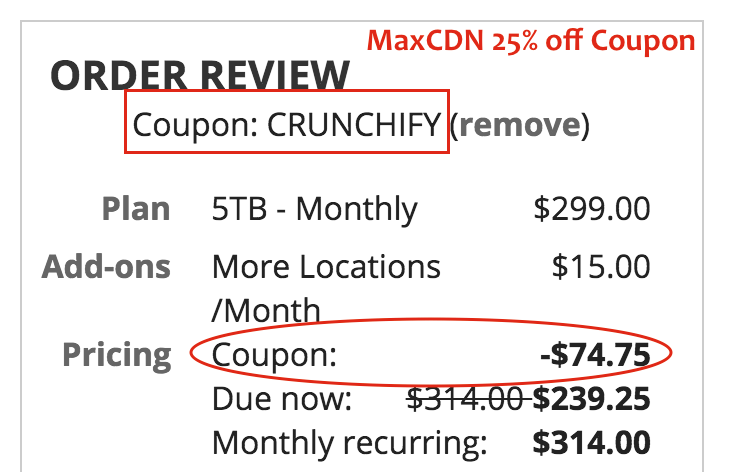 It also powers Crunchify.com site since last 5 years..
MaxCDN accelerate your site and decrease the server load. The main reason to choose MaxCDN as our WordPress content delivery network was to have better site performance and SEO. Speed, in the present world is of crucial importance to everyone. In the fast paced lives of people, it has now become mandatory for any company, irrespective of its size or location, to provide its customers with whatever it is that they are looking for. Just use code CRUNCHIFY during checkout and you will see 25% off on any order. This is official coupon code without any expiry. Go to MaxCDN Buy Now page. Add your selected item to cart, May be 1TB or 5TB. Checkout 25% off on your order in right sidebar. And you are all set. Let me know if you see any issue with coupon code.